Description: Flamous Blogger Templates is an elegant, clean and modern blogger theme for creative bloggers and authors. It’s perfect for sharing travel photos and telling your stories. 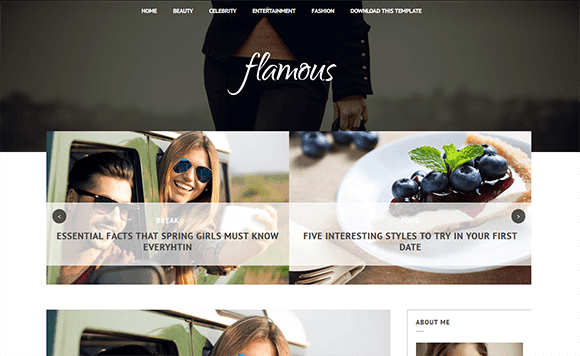 Theme Options Powered by Blogger Customizer, which help you setup your website in the most visual way – with Flamous, You can create an awesome personal blog in few minutes. It has an impressive design, suitable for any kind of blog.